A lot of friends in the game have encountered this situation, that is, they thought that they had jumped a very wild point and then found out that they were away from the first circle in a hundred thousand miles, and then because I am here in the wild zone. There are no vehicles at all. The process leading to the lap is extremely difficult. Then I fall in love with the house and forget about the laps. I waited until it was too late to react. OK, the remaining half of the life is in the ring, and the bad luck comes to an end. Even if we can make the first major lap in time with ourselves, because of the time, we can’t conduct careful searches in the wild areas, and even if we enter the circle, we will be impoverished. In the end, we will inevitably escape the destiny of anyone. The following specifically addresses this situation and hopes to teach everyone how to determine the position of the first wave and how to use the first wave to make tactical decisions. The following is a combination of examples (four persons in the battle case Both of them are relatively low, but the use of the crown account to highlight the significance of this tactic) is helpful for everyone to understand this tactic. First of all, we have to open the map on the plane for the first time to confirm the route of the transport plane. In this case, the route of the aircraft is very bad, and it rarely passes through all major resources points (except for the Lion City). At this time, we decisively communicated with our teammates and we must advance to the top half of the map at the beginning of the game. And the fact is not unexpected. At the end of the impala spot town close to the terminal station, there were as many as 80 people parachuting. In other words, all 80 people were at the center of the city. 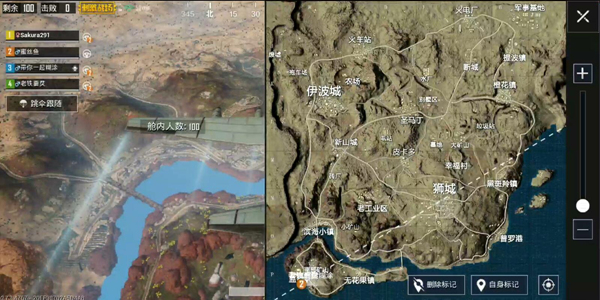 In the surrounding area, there will be half of the enemies that will fall in the southwest area of ​​Lion City. At this time, we commanded the whole team to advance toward the garbage dump. Teammates questioned this because the garbage dump was notoriously poor and could not raise four people. Here we have explained that our goal is to take the car to Orange Blossom Town immediately after obtaining the most basic self-defense weapons. Here is the principle of the refreshing of the first cycle, although the Refreshing directions gives people a feeling of randomness, but there are principles that can be traced, and this principle is that the circle will be brushed in places where there are many people. Here is an extreme example. If only one of us chooses to parachute and land on the ruins of the mountaintop. While remaining 99 people jumped over the military base. 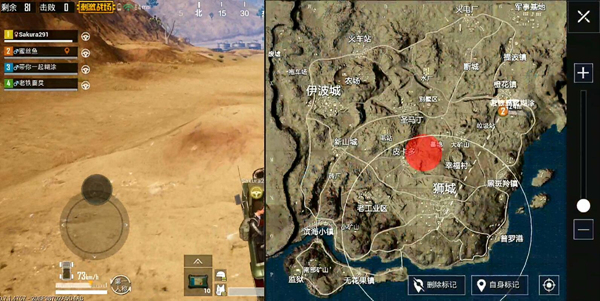 Then the first circle is definitely not to be brushed on this one person, and it is almost certain that the circle of the first circle is definitely close to the military base, so if we find ourselves in the circle of the first circle, don’t It’s too early to be happy because you have many enemies around you. The reason for this may be that in places where there are many people, the battle is more frequent. If the first circle is brushed in other places, the pressure given to the player will be very large and may even reduce the game experience. The captain’s predictions were correct. The first lap was really in the southwestern area of ​​Lion City. At this time our team immediately arrived at Orange Blossom Town for rapid equipment collection. At the same time, don’t forget to bring the oil. Sets of tactics and their need for vehicles, once the vehicle is emptied of oil in some squat positions, it will be very difficult to play. The team then entered the finals with a very relaxed attitude. The reason is very simple. Although its own level is completely different from this one, it evades a large number of enemies through simple tactics, and saves the vital forces. The winner’s lap, presumably if the player can have the ability to belong to his rank, he will be able to achieve better results.